Scorekeeping means that you find yourself constantly comparing what you are (or aren’t) doing against your partner’s actions. Once you notice thoughts like, “This is the fifth time I’ve had to do this for him this month” or “I can’t believe that she’s forgotten this again this week,” take a moment to reflect on why it’s so important to you to be keeping score against the person with whom you are supposed to be part of a team. This is a sign that it’s time to discuss feelings of unfairness or inequality in your relationship with a therapist. Scorekeeping leads to resentment, and resentment leads to nowhere good. You feel as though your partner is not being honest with you (or you know you’re not being honest with your partner). If you start to notice gut feelings you’re having about your partner, pay some attention to them and try to establish if they have any value. When you sense that your partner may be keeping something from you and you aren’t able to have productive communication around your instincts, consider starting therapy. While these instincts may be around something like an affair, you also may pick up on less threatening secrets from your partner: their struggles at work, their attempts to downplay symptoms of depression or anxiety, etc. It may be easier to talk about such difficult topics with a therapist present. The same applies if you notice that you are not being as open with your partner about something affecting you and/or the relationship: let your partner know you’re struggling with something that you want to share with them and you’d like to start couple therapy to figure out how to tackle the problem together. You’re fighting in front of others. It’s important to set boundaries between your romantic relationship and the rest of the world. You and your partner should be in agreement about what is okay to share with loved ones and what needs to be kept between you, and it’s a good idea to limit the conflict that others witness between the two of you. It’s a red flag if you notice that you and your partner start arguing in front of your loved ones, acquaintances, or even strangers. Note that this doesn’t mean that no one should ever witness anything negative between the two of you; for example, it’s unrealistic that you and your partner would never argue in front of your kids. However, repeated fighting in front of them without respectful communication and a healthy resolution is a sign you need to work on this in couple therapy. You stop bringing up things that bother you because it feels easier than working through them. It’s not always comfortable to bring up problems with your partner, but it’s a necessary part of being in a relationship. Two people loving each other does not equal two people who will agree on everything or always show each other their best selves, so conflict is inevitable in a romantic relationship. However, you need to consider it a warning sign if you stop trying to resolve conflict in your relationship because it seems easier that way. While not working through issues with your partner can feel better in the short term, in the long term you’re doing yourselves a disservice. You find reasons to spend time away from your partner. Everybody needs some alone time now and then; in fact, it’s healthy to spend time pursuing individual interests and recharging your batteries. 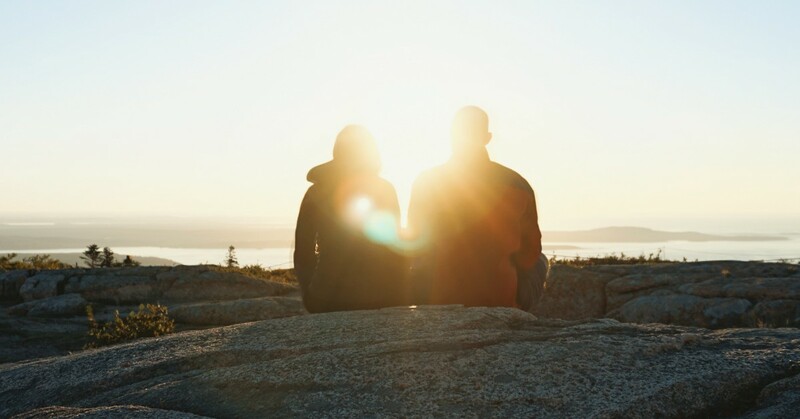 However, if you notice that you are intentionally looking for ways to be away from your partner, please contact a couples therapist so that you and your partner can explore what factors in your lives are making it hard for you to spend time together and learn how to help your relationship flourish.